At the upcoming Watches & Wonders 2015 event (Hong Kong, 30 September - 3 October 2015), Cartier will present several novelties including the new Clé de Cartier Mysterious Hour, a watch that represents the encounter between the recently launched Clé de Cartier collection (full details here) and the mysterious movement complication, a symbol of Cartier watchmaking. 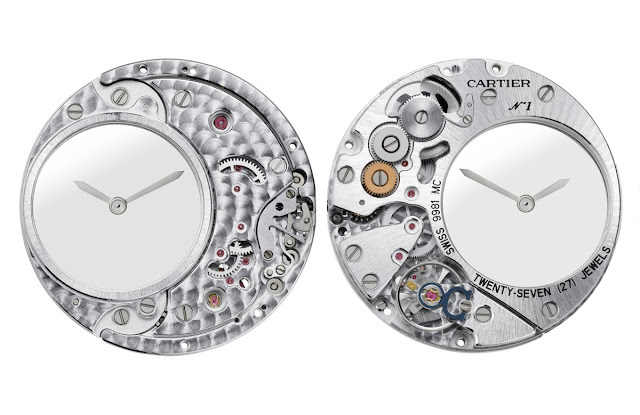 The hours and minutes hands that seem to ﬂoat in space - while they are actually connnected to the movement through large discs of sapphire crystal - are here combined to a silvered openwork dial with sunray finishing. 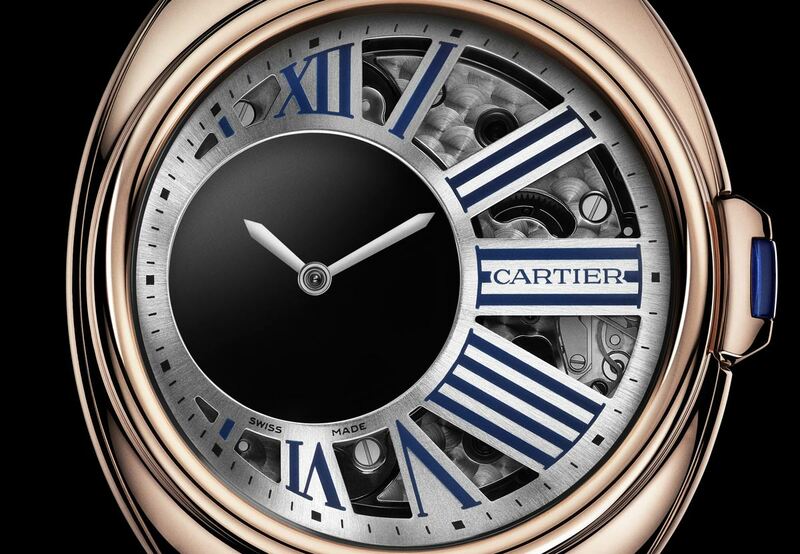 The blue Roman numerals - so typical of Cartier's design code together with the rail-track minute circle and the sword-shaped hands - well harmonise with the sapphire on the winding key. The 41 mm case, available in pink gold or in palladium, houses the hand-wound Calibre 9981 MC, an individually numbered manufacture movement which beats at 28,800 vibrations per hour offering a power reserve of 48 hours and comprising 158 parts. The total thickness of the watch is 11.25 mm. 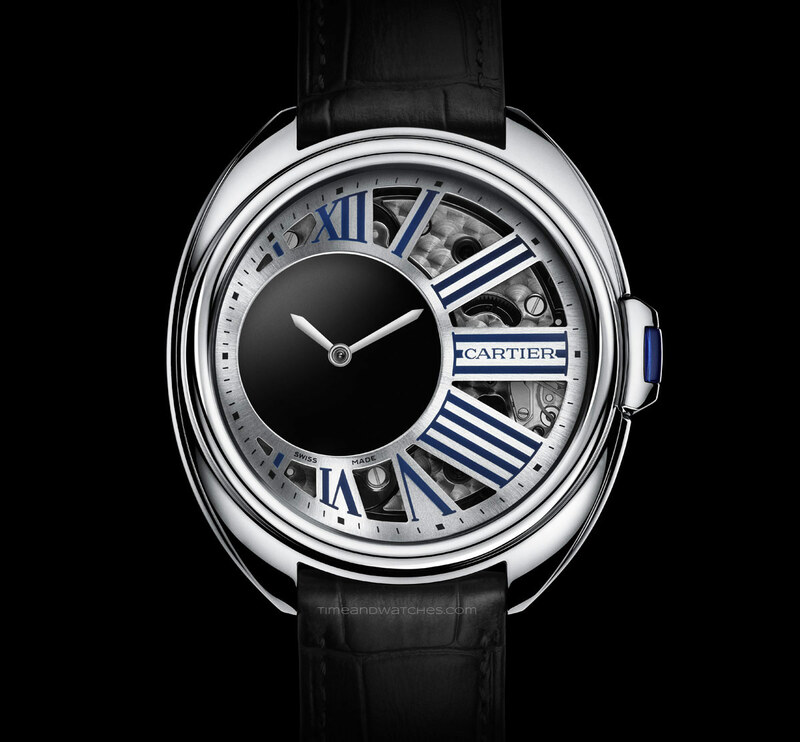 Cartier Clé de Cartier Mysterious Hour. 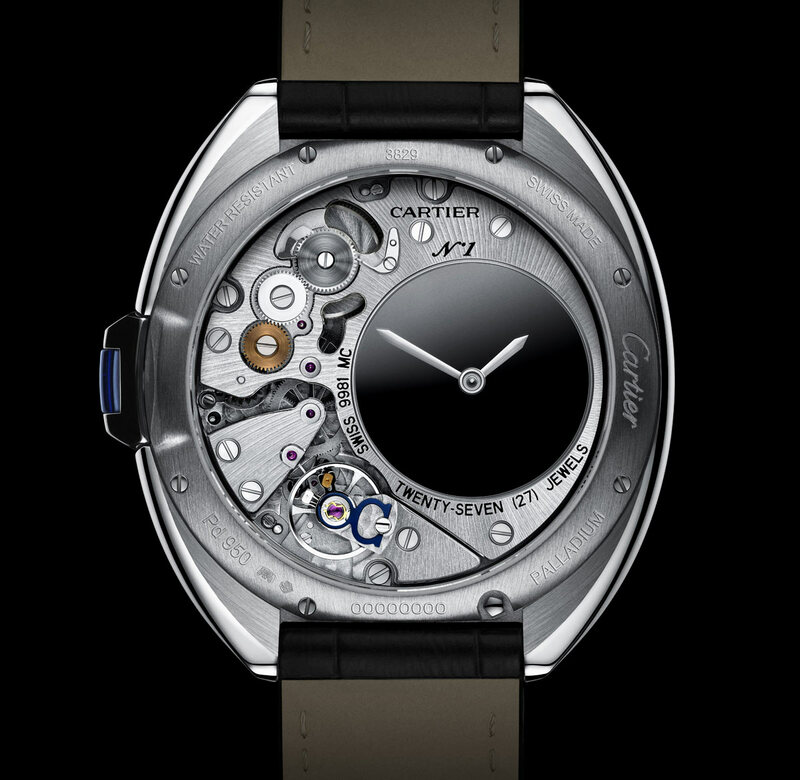 Watches and Wonders. 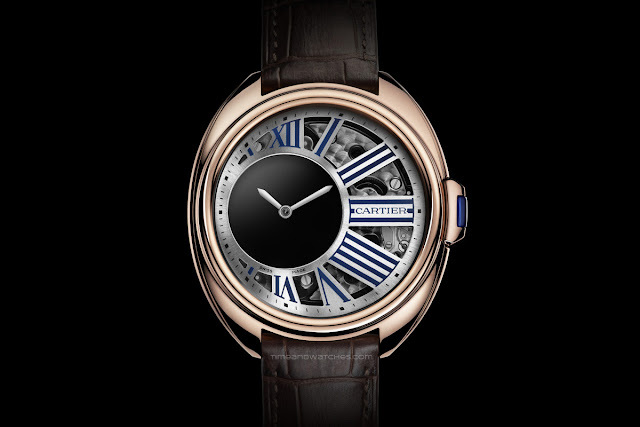 At the upcoming Watches & Wonders 2015 event (Hong Kong, 30 September - 3 October 2015), Cartier will present several novelties including the new Clé de Cartier Mysterious Hour, a watch that represents the encounter between the recently launched Clé de Cartier collection and the mysterious movement complication, a symbol of Cartier watchmaking. Price to be announced.